Aari can save Earth by placing it in a time ripple. However, because of the space-time phenomena it may or may not happen. If it doesn’t, Aari and her world does not exist. But she is on Earth, now, with no memory of what has, or will happen. Can cosmologist, Dr Nareen O’Grady help or does she become too personally involved? On Earth in our present time, Lara is involved in a serious road accident that leaves her as a quadriplegic. She is helped by going through a portal to Havenseed where technology not even discovered on Earth, is used to restore her to a normal healthy life. 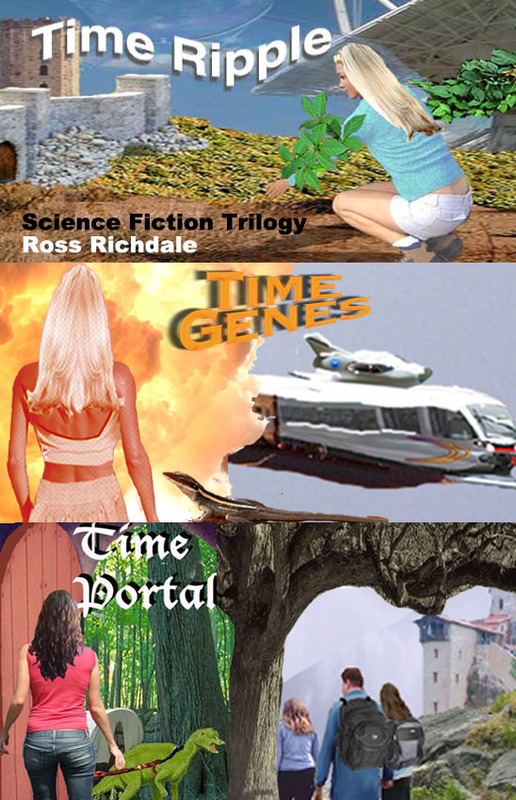 Rhett and Shelley travel through a space-time portal where they are met by Dee, their twelve-year old daughter that they never knew existed. Dee is desperate for her brother, Corwin has been caught in a trap set by the girifa, the reptilian equivalent of humanity. However, the enemy are not the girifa but humans living a parallel world from their ancestors’ time.